At this point, the call sheet for Ryan Murphy’s horror-comedy Scream Queens is looking more like a Silverlake dinner party than a TV show cast. The number of recognizable names and faces is reaching a tipping point more suited to a Robert Altman film, or possibly half the table at an average Golden Globes ceremony. 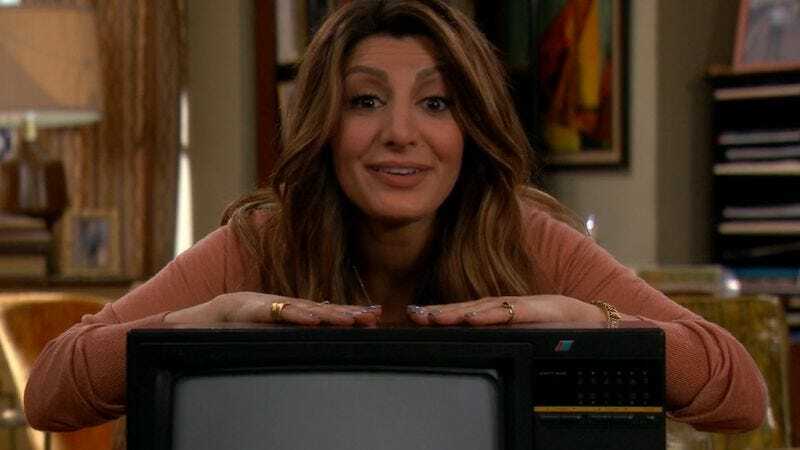 And now Deadline reports Nasim Pedrad has joined the cast, presumably in the role of “cannon fodder,” because this show has way too many people to not start bumping off a good portion of them almost immediately. Fresh off the plum role of “actor on canceled TV show Mulaney,” Pedrad will help strengthen the comedy half of the horror-comedy’s equation, alongside recent cast addition Niecy Nash. This is in addition to Nick Jonas, Lea Michele, and a bunch of other people you can look forward to watching die in a variety of ways that Ryan Murphy will probably claim he invented. Of course, Murphy has yet to acknowledge the genre that he truly flourishes in: the inability-to-maintain-consistent-characterization-or-tone musical dream sequence.